Please Note: Enrollment is limited to a maximum of only 10 students in most locations. Enrolling today helps ensure your place in the class of your choice, and guarantees our lowest tuition. HAVE QUESTIONS, OR PREFER TO ENROLL BY PHONE? CALL 860.940.9262. 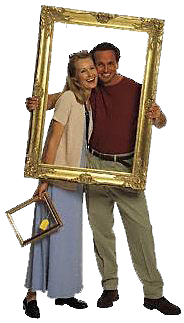 Thank you for choosing The American Picture Framing Academy, the industry’s #1 school since 1999. Select a class location. Then you will be asked to choose a class option. The 3-Day Boot Camp Combo, which includes both our Basic and Advanced classes is the most popular choice, and the best value. 3-Day BOOT CAMP: Best Value, includes Basic and Advanced Classes. Only $1450. Additional students only $1295. Our most popular option, and best value, is the 3-Day Boot Camp Combo, which includes both our Basic and Advanced classes. You get maximum learning and maximum savings too. BOOT CAMP SPECIAL ENDS SOON. 3-Day BOOT CAMP: Best Value, includes Basic and Advanced Classes. Only $1495. 3-Day BOOT CAMP: Best Value, includes Basic and Advanced Classes. Only $1595. Is Cardholder Name Different From Student 1 Name? Although these DVDs are optional, many students prefer to get a head start on learning. They'll help you prepare for class, and are certain to become a valuable part of your professional reference library. The Complete Set - All of the DVD's listed above for only $129.00. Free Shipping.